Radhanath Swami – God – the greatest or the sweetest? Richard (now Radhanath Swami) and Asim Krishna met a mystical lover of Krishna, Sripad Baba. Sripad Baba was a homeless mendicant and mysteriously wandered in Vrindavan in a God-intoxicated trance. Although Sripad Baba was revered by people in Vrindavan, no one knew his age or his residence. One night Richard saw him standing shoulder high in the frigid waters of the river offering prayers until sunrise. Sripad Baba seemed to know every hill, rock, or grain of dust in all of Vrindavan. In his association, Radhanath Swami began to feel he had no trace of love for Krishna in his own heart. Radhanath Swami once had an overwhelming experience when he longed for the love of God, cried and begged for that love. He suddenly felt everything was irrelevant in the absence of love for God. Sripad Baba revealed to Radhanath Swami an interesting aspect of Krishna; God is universally worshipped as a great king, but in Vrindavan He is loved as a friend, a child or as a lover. 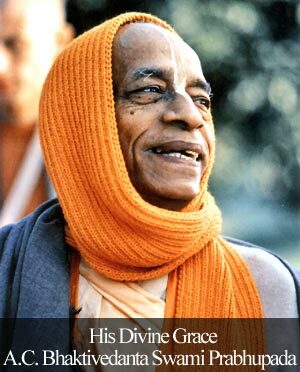 Radhanath Swami often says that God is not simply great but also sweet, and Sripad Baba revealed to him Krishna as the essence of all beauty and sweetness. In India Krishna festivals are very popular with millions congregating to hear week long discourses on Krishna’s activities, especially about his childhood play and frolic in Vrindavan. These discourses are given by popular professional speakers, with accompanying kirtan, musical performances. Reading about Krishna fills the hearts of his devotees with incalculable sweetness. Interestingly I have observed Radhanath Swami and many other speakers about Lord Krishna repeat the stories with much excitement and enthusiasm as if they were narrating it for the first time. I understand that repeated speaking and hearing these stories simply increases the joy of the devotees. Krishna theology is refreshingly different from the stereotyped understanding of God as a great Lord who metes out justice and awards the faithful on the Day of Judgment. Krishna is the same God as understood in all other theistic traditions, but the sweetness aspect of His personality helps devotees relish the path of Bhakti yoga. The German philosopher Friedrich Nietzche said, “I would believe in a God who could dance.” Krishna is known as an expert dancer, natabara, who dances in rasa lila, the dance of divine love, in the pastures of Vrindavan. Radhanath Swami explains that we can also experience the sweetness of God by sincerely chanting the Holy names of God. The Holy names are also great and sweet, says Radhanath Swami. They are great because they can destroy the negativities from the heart and at the same time the sweetness of the Holy names can also be experienced by spiritualists who chant with great feeling of love. Radhanath Swami has written that looking at Sripad Baba’s love for God made him feel how little he loved Krishna. That is the symptom of a pure devotee of the Lord. He always feels that others are great devotees while they themselves do not have a tinge of it. Thank you Radhanath Swami for sharing how sweet Lord Krishna is. I sincerely thank H.H. 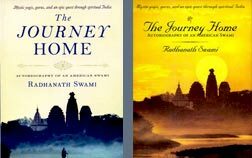 Radhanath swami mahraj for sharing his search for God adventures, they are so aspiring to achieve whatever one wants to achieve in life; especially with little sincerity one can achieve highest perfection of life- love of God. I pray one day by the mercy of Mahraj, I would get a fraction of desire to love Krishna what maharaj wants to give each and every soul. A nice article on the sweetness quality of Krishna. H.H Radhanath Swami Maharaj has nicely explained (sweetly)the sweet qualities of Lord Krishna. It is like nectar. 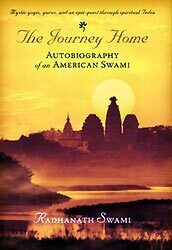 Thank you Radhanath Swami for the great narration of the sweetness of the Lord. God is greatest,strongest and sweetest, that is why He is all attactive. Thanks Radhanath Swami for describing qualities of God.Thanks for sharing with us. A very spiritual understanding of God and not otherwise unlike the stories that perpetuate, that pray when you are in difficulties and speaks nothing about God when we are momentatily in the illusion of happiness. A beautiful lesson for all of us. This is very nice as GOD is not just great but sweet where you can have relationship and lord is more eager to reciprocate with our love. God greatest or sweetest? This is very beautifully explained i in this article. Its only in the bhakti tradition that we can understand both these aspects of God. Radhanath Swami is an expert bhakti yogi, so we can just imagine how much he already knows about the greatness and sweetness of the Lord. The sweetnes of God is easily available to all through chanting his Holy names and reading and reciting His pasttimes. However, I am so fallen I am still looking for that sweetness. Thank you Maharaj. After this article by Radhanath Swami only, I could understand in full the sweetness part of God. Thank you Radhanath Swami for this. One can relish the sweetness of God when his material disease is cured. Krishna – Greatest of the greatest and Sweetest of the sweetest. When we hear the pass times of the lord from the a pure devotee the sweetness increases even more. Very nice. Thanks for sharing. Haribol! By reading this post I realized for first time that God is both Great and Sweet, but His Sweetness surpasses His Greatness a million times. Some believe that God is great, He is one who judges all on the judgement day. Yet others believe that He is a sweet loving person. This article actually bridges all apparent gaps in the different ideologies and inspires us to experience the love of this ‘Great’ God Just as Radhanath Swami experienced his love for Krishna. Thank you so much Radhanath Swami to give such inspirational lesson.